We just love bringing Jigsaw Puzzles together and we think it's still fun for all ages, even in this crazy internet world. So we bring you this online free jigsaw puzzles service, we have kids and adults, very easy and very difficult puzzles, and we are waiting to hear your feedbacks. 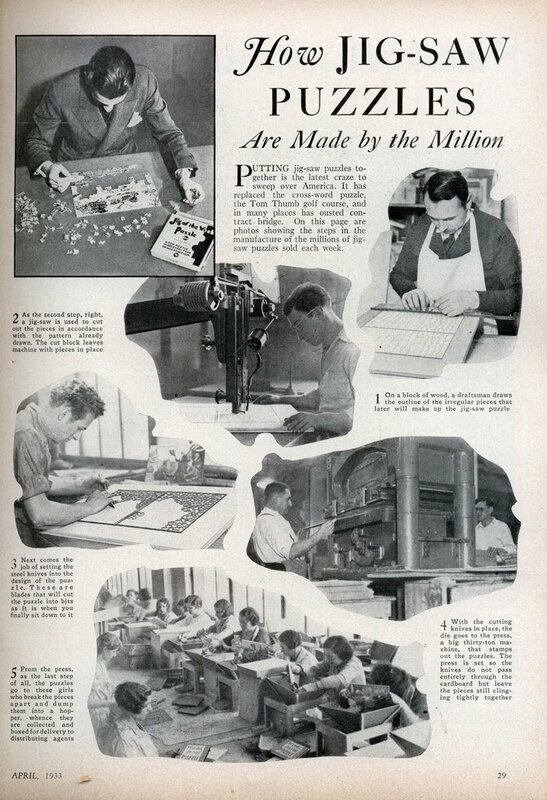 Since we have nothing else to say about jigsaw puzzles, we give you this nice "how jigsaw puzzles are made" article from Popular Science 4-1933, enjoy.